Visítala y suscríbete a nuestra lista de correos, mostraremos nuesto agradecimiento enviándote música nueva! With a cleaner, easier to navigate design, Spacebarman’s new home page offers quick access to all our audiovisual material as well as blog, Twitter and Facebook updates. 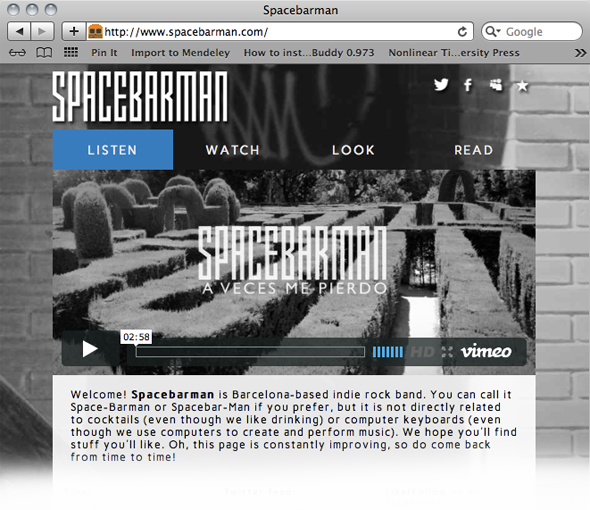 Visit us and subscribe to our mailing list: we will show our gratitude by by sending you cool new songs!